Economy cartridge, designed for occasional printing. A little less ink, at a very affordable price. Tested in HP Officejet J4580 All-in-One. Approximate average based on ISO/IEC 24711 or HP testing methodology and continuous printing. Actual yield varies considerably based on content of printed pages and other factors. For details see http://www.hp.com/go/learnaboutsupplies. 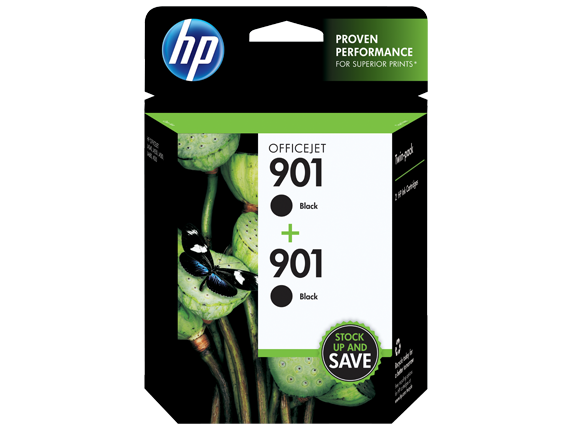 Print affordable, high-quality black documents, using HP ink. Consistently produce laser-quality black text that resists fading. These cartridges offer user-friendly features and reliable performance. Print affordable, impressive color documents, using HP ink. Consistently produce high-quality color graphics that resist fading. These cartridges offer user-friendly features and reliable performance. 1 Based on paper industry predictions for acid-free papers and Original HP inks; colorant stability data at room temperature based on similar systems tested as per ISO 11798 and ISO 18909. 2 HP ink cartridge return and recycling is available in 44 countries and territories around the world, covering 88% of the addressable market; see http://www.hp.com/recycle for details. 3 Program features and availability may vary by country. For more information, visit http://www.hp.com/learn/suresupply 4 Compared with individual HP ink cartridges. Based on estimated U.S. street price. Actual retail pricing may vary. 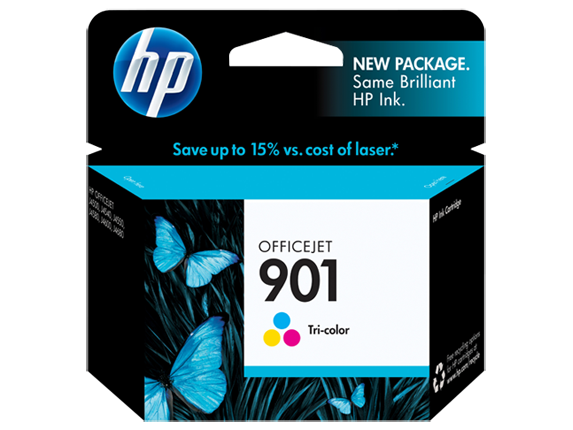 Print affordable, laser-quality black output that resists fading, using HP ink. Save even more with this high-capacity cartridge. 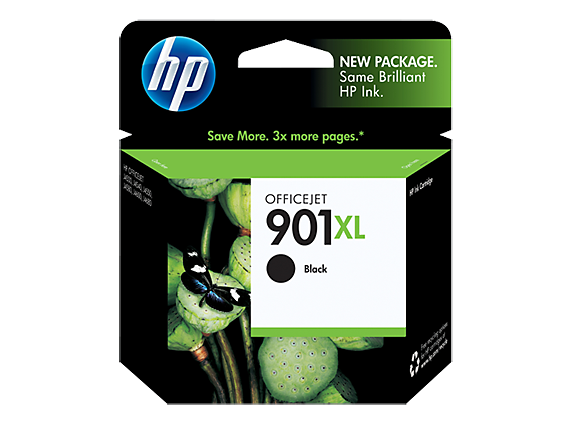 HP ink cartridges deliver user-friendly features and reliable performance. Save time and money when you buy a complete set of inks. 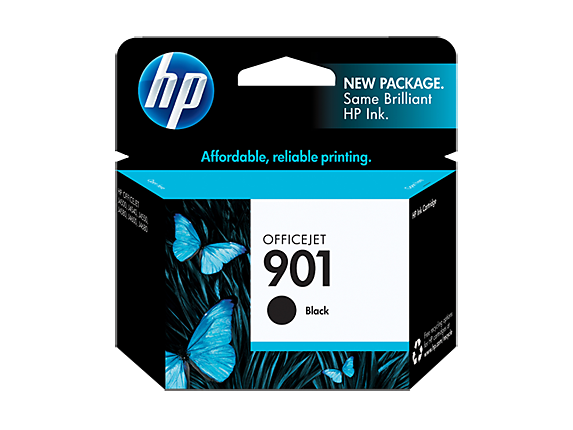 Advanced HP inkjet print cartridge technology gives you consistently outstanding results. Rely on HP for superior quality printing and easy ways to recycle ink cartridges. 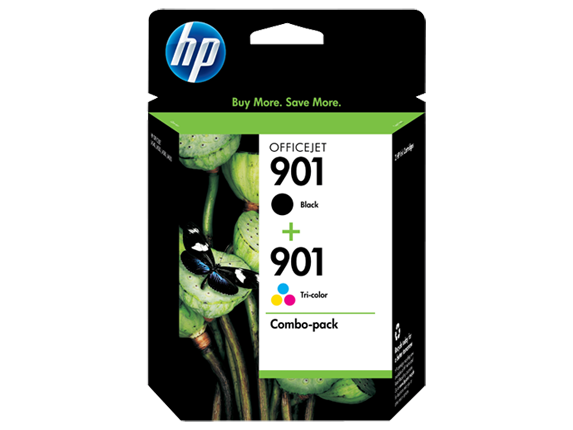 1 Compared with the HP 901 Black Ink Cartridge. High-capacity black cartridge not included, please purchase separately. No high-capacity tri-color cartridge available. 2 Based on paper-industry predictions for acid-free papers and Original HP inks; colorant stability data at room temperature based on similar systems tested per ISO 11798 and ISO 18909. 3 HP ink cartridge return and recycling is available in 44 countries and territories around the world, covering 88% of the addressable market; see http://www.hp.com/recycle for details. 4 Program features and availability may vary by country. For more information, visit http://www.hp.com/learn/suresupply. 5 Compared with individual HP ink cartridges. Based on estimated U.S. street price. Actual retail pricing may vary.